The domain of discourse is usually identified in the preliminaries, so that there is no need in the further treatment to specify each time the range of the relevant variables. Many logicians distinguish, sometimes only tacitly, between the domain of a science and the universe of discourse of a formalization of the science. Giuseppe Peano formalized number theory (arithmetic of positive integers) taking its domain to be the positive integers and the universe of discourse to include all numbers, not just integers. For example, in an interpretation of first-order logic, the domain of discourse is the set of individuals over which the quantifiers range. A proposition such as ∀x (x2 ≠ 2) is ambiguous, if no domain of discourse has been identified. In one interpretation, the domain of discourse could be the set of real numbers; in another interpretation, it could be the set of natural numbers. If the domain of discourse is the set of real numbers, the proposition is false, with x = √2 as counterexample; if the domain is the set of naturals, the proposition is true, since 2 is not the square of any natural number. The term universe of discourse generally refers to the collection of objects being discussed in a specific discourse. In model-theoretical semantics, a universe of discourse is the set of entities that a model is based on. The concept universe of discourse is generally attributed to Augustus De Morgan (1846) but the name was used for the first time by George Boole (1854) on page 42 of his Laws of Thought. Boole's definition is quoted below. 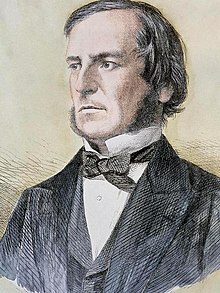 The concept, probably discovered independently by Boole in 1847, played a crucial role in his philosophy of logic especially in his principle of wholistic reference. Look up domain of discourse in Wiktionary, the free dictionary. ^ Corcoran, John. Universe of discourse. Cambridge Dictionary of Philosophy, Cambridge University Press, 1995, p. 941. ^ José Miguel Sagüillo, Domains of sciences, universe of discourse, and omega arguments, History and philosophy of logic, vol. 20 (1999), pp. 267–280. ^ Page 42: George Boole. 1854/2003. The Laws of Thought. Facsimile of 1854 edition, with an introduction by J. Corcoran. Buffalo: Prometheus Books (2003). Reviewed by James van Evra in Philosophy in Review 24 (2004): 167–169.